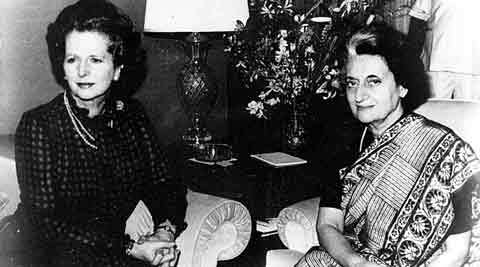 Former Prime Minister Indira Gandhi had asked her British counterpart Margaret Thatcher to stop helping Sri Lanka with military advice to crush the separatist Tamil Eelam movement in the 1980s, according to newly declassified documents. In a document relating to Sri Lanka, released by the National Archives in London under the 30-year declassification rule, a reference was apparently made to India’s suspicion in 1984 that Britain’s elite Special Air Service (SAS) was training the Sri Lankan military. According to another document, the British government under Thatcher allowed former SAS officers to train Sri Lankan security forces against the LTTE. The new set of documents, that will intensify speculation over SAS operations in the region, suggest that in September 1984, Peter Ricketts – private secretary to foreign secretary Geoffrey Howe – wrote to David Barclay – private secretary to then prime minister Thatcher – about a request to allow a British company with SAS connections to work in Sri Lanka. The Sri Lankan government under President J R Jayewardene was then tackling the Liberation Tigers of Tamil Eelam (LTTE) forces and other groups in the north and east of the island nation. Ricketts wrote: “The Sri Lankan government have engaged another British company (name removed) to provide training in counter-terrorist techniques…The presence of (the company’s) employees, including some ex-SAS personnel, in Sri Lanka, has aroused controversy and the Indian government have expressed concern to us about the firm’s involvement. The firm was allowed to continue working in Sri Lanka.